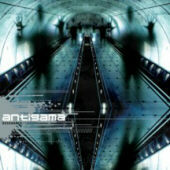 Antigama is a band well known and respected all over the world, so not much introduction is needed. What is worth saying though is that they are getting better with each consequent release, and their newest mini album called Depressant is the best proof of it. 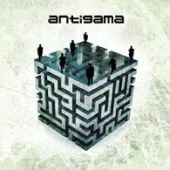 Antigama is a band that will give you a stronger musical beating in twenty minutres then most bands in double the time. 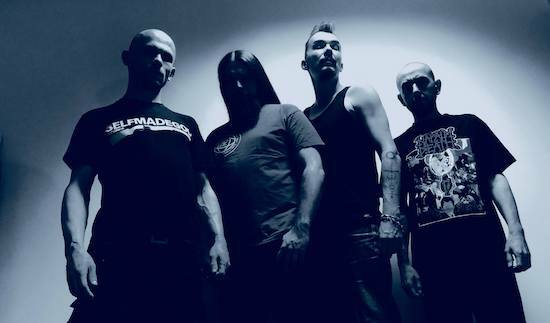 They're precise, dense and brutal, and once the attack is done the only thing that's left is scattered teeth and smeared blood (at least that's how i see it in my head) so play Depressant loud, read on, visit their page and share this with all. 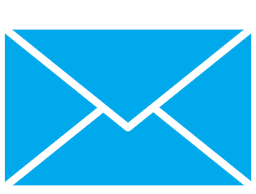 Huge thanks from the readers of MetalBite.com and me! New mini album and a new mini interview, shall we? The new album nearly rubs the face off of the skull! I haven't taken such a musical beating in a while, so congratulations! Great material, but why so short? Where did you get an idea for the title of this album? Did you have any experiences with depressants maybe? Depressant, as well as all of its subject matter, pertains to depression, confusion, bad relationships, rejection, and generally the negative side of human nature. The lyrics harmonize with the music, which is very violent on this album. Tell us more about the cover of the new album because it is very interesting. What's the deal with the hook? What about the mouth and what... well... what's on this hook? Who came up with the idea and who implemented it? Each of our covers is a kind of a metaphor that you can interpret in your own way. In this case, the pill, the hook, the lips refer to the theme of the album and to understand this you have to read / listen to what Łukasz had to get out of himself this time. All lyrics, graphics, and the entire workmanship, is Łukasz's work, who did it (as usual) perfectly. Depressant is about society, or rather about its fall. How do you see it? Why we are falling apart as a community, and is there any light in your dark vision? We observe the world from our own perspective, and our views are not necessarily consistent in everything, but the fact is that people are getting harder to understand. The art we do is a type of valve, thanks to which we let out negative / positive emotions. Everyone is a quite sensitive character in Antigama. Everyone has to find their own light, just as it makes sense to do what we do together. You made me crave something new with Depressant, and it seems to me that the time has come for the successor of The Insolent. Is there anything happening in this matter? Will there be completely new songs or will you smuggle something from Depressant too? The new material is created and will be a logical continuation of what we did on the last EP. When we decide that the time is here, we will enter the studio and record a new album. In our case, it will probably be sudden and unexpected - as usual in general. 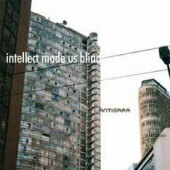 This is the fourth album of Antigama with Pavulon on drums. By drumming more death metal rhythms on daily basis, he introduced a slightly different atmosphere to music as dense as the one you propose. What do you think? Paweł placed himself very well within the Antigama style and added a lot of fresh air to our compositions. We've played together long enough for me to say that we musically communicate without words. Paweł knows exactly what I expect from working with him and realizes my vision in 100%. Besides, he's a great buddy who loves what he does. How do you manage all of it with such an overworked man? We are lucky enough to play in a place, which is Paweł's studio at the same time. It makes for easier contact. We manage. What are your relations with "ex" members, i.e. Michał, Maciek, and especially with Krzysiek Bentkowski? Have all war hatchets been buried? There are none, at least from my/our side. We do not have regular contact with all people who played in Antigama, but it isn't so because of negative emotions; just ordinary prose of life. 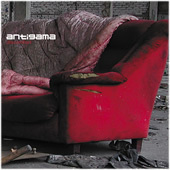 Antigama has been a different state of affairs for many years. Okay, let's go back to the EP. How was it with composing, recording and the initial realization? Was it hard work and stress like hell, or more fun and freeing from excess ideas? Both actually. Recording this EP was a challenge in a sense because the material is quite intense and not easy to control in the studio. In addition, of course, a lot of fun and humor as usual when recording with Janos. The realization was a comfort because the studio is located under our rehearsal room. We've known Paweł 'Janos' Grabowski from JNS Studio very well for a long time, so the recording went without a problem. Musically, the concept of Depressant came from me and, in a sense, it was freeing myself from ideas that had been going through my head for some time. A lot of hassle but also satisfaction at the same time - that's how I remember this session. Was everything completed before entering the studio, or did you give yourself a small leeway for some improvisation? Each Antigama studio recording session ends with some kind of improvisation, thanks to which a new song is born. Sometimes we make a song the day before entering the studio. We operate rather spontaneously, and in our case it works very positively. While mixing Depressant we took a little break; we went to our place upstairs and recorded a noisecore album during one common improvisation. Maybe someday we will release it, who knows. It seems to me that this album is more accessible, a little more melodic. I don't want to mention a word 'hit' here (I personally listen to it nonstop). What is your response from fans, critics and reviewers? Reviews are very positive for the most part. We are pleased with the reception of the new EP by the press and fans. At the moment, we are focusing on the upcoming future, which seems its going to be quite hard-working. 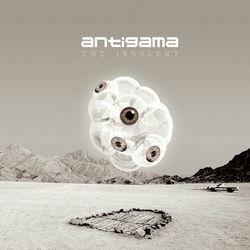 Antigama is a well-known name in the metal world already, so do you feel tempted sometimes to try (after the two-CD episode with Relapse Rec.) a cooperation with a bigger label again? It is difficult to say what the future will bring. We have been with Karol / Selfmadegod Records for years and this cooperation works well both ways. We play fair and it's okay. Speaking of concerts, which songs are currently a 'must play' on every show? Is it more your choice or the fans? 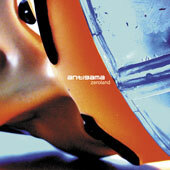 Our setlist is based mainly on cuts from Meteor, The Insolent, Depressant - which means 'newer' face of Antigama. It's probably more of our choice, because we like to play what we think is the coolest way to play live, and what works best with the audience. Thanks so much for your time! Antigama Rules!!! Something for the end? Thank you for the interview and best regards!